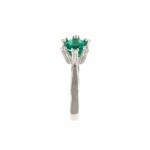 6.5 mm round emerald in a 6 prong setting accented by a tiny round brilliant on each. 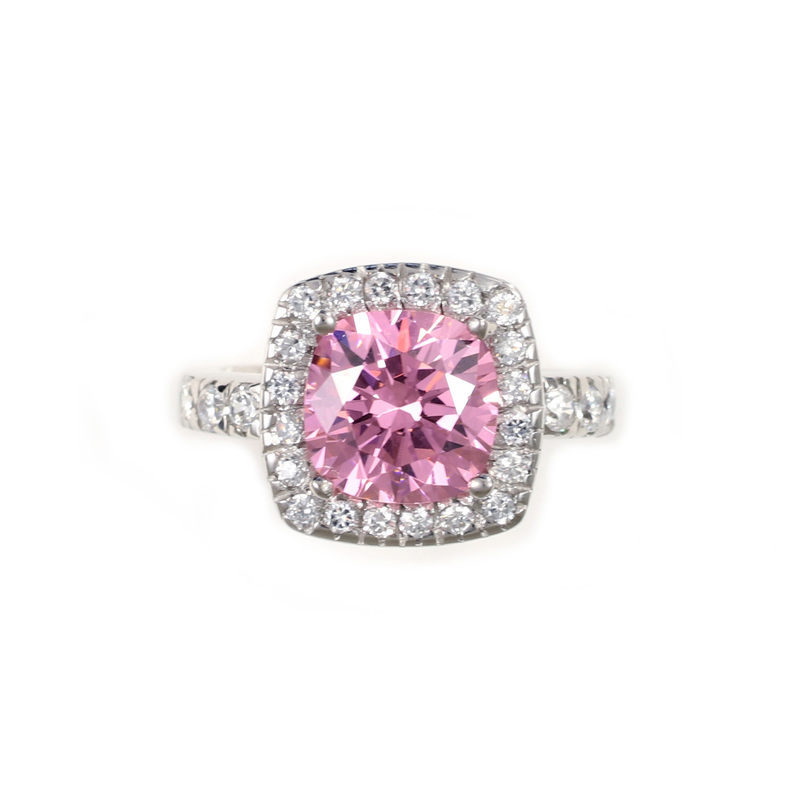 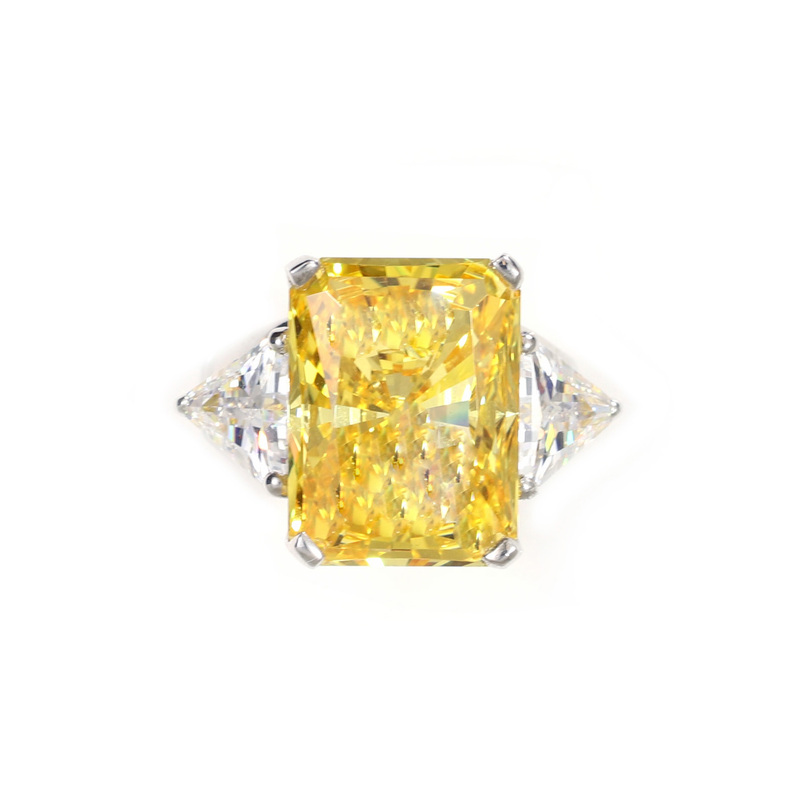 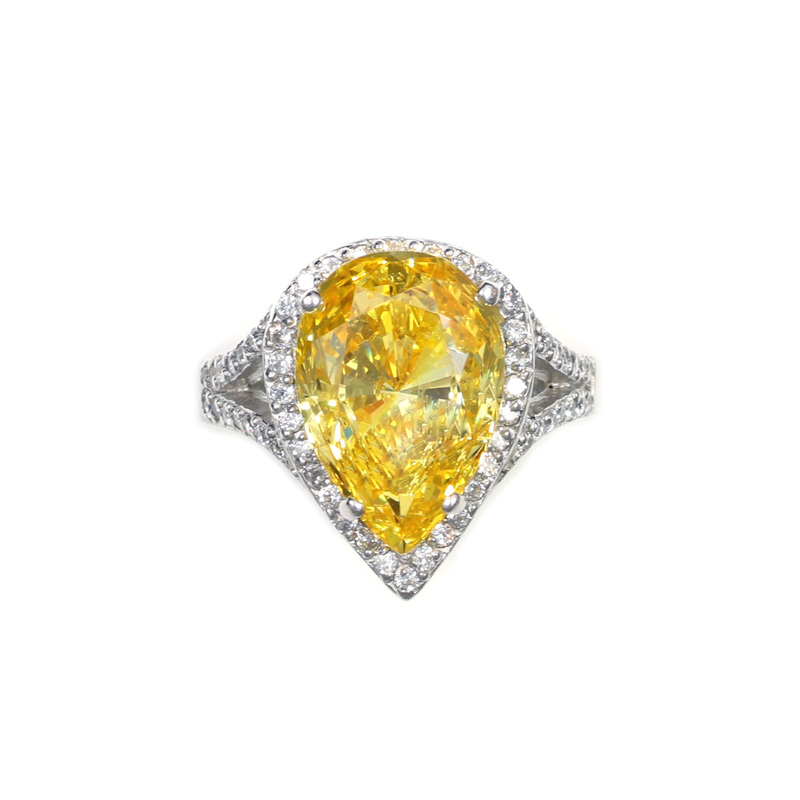 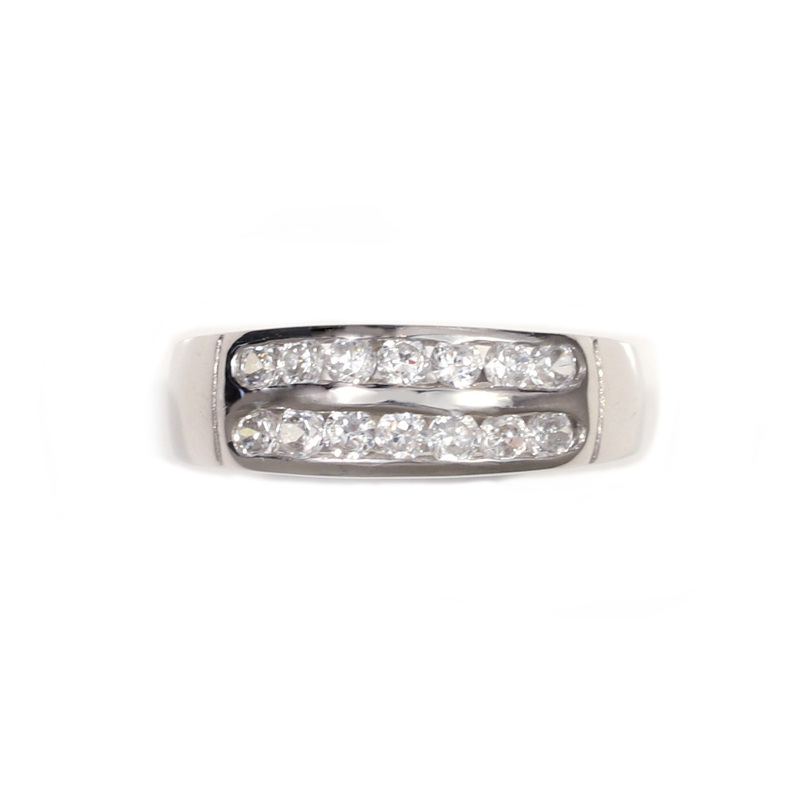 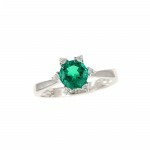 Center stone weighs .73 carats and ring measures 8.51 mm and tapers down to 2.50 mm at the base of the shank. 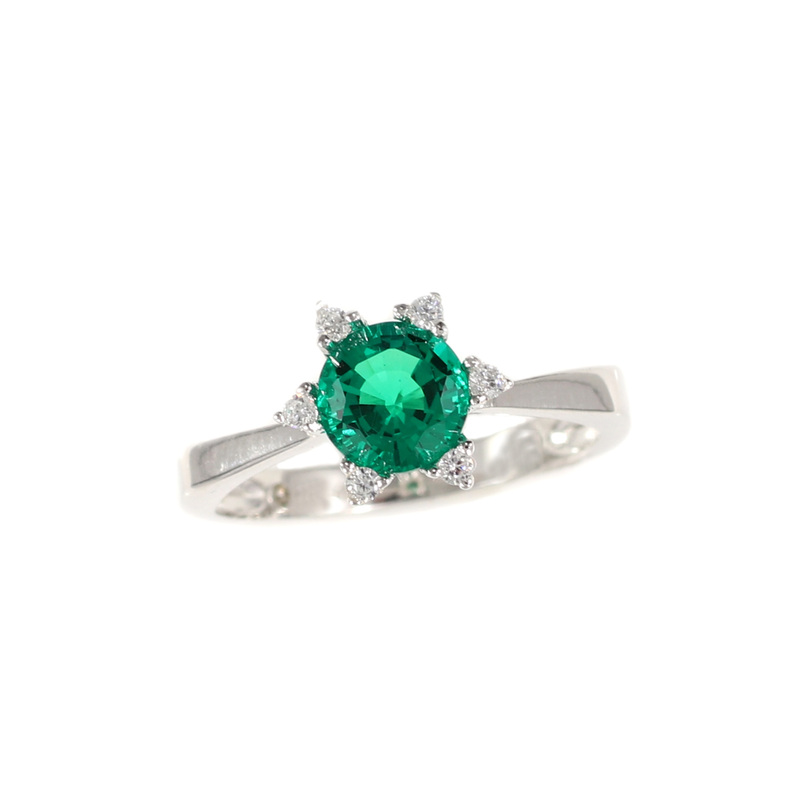 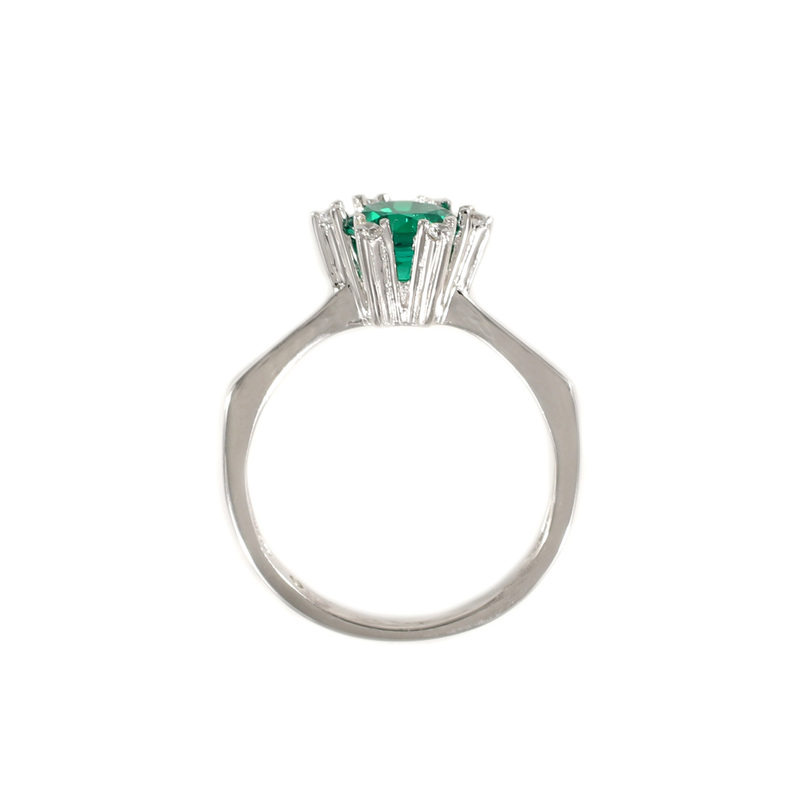 All stones are lab created emerald and Russian cubic zirconia set in Platinique®.